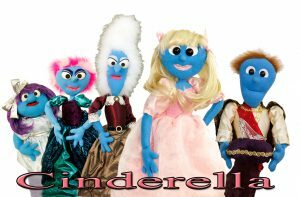 The classic tale, told Puppet Art Theater style. Cinderella wants to attend the ball and dance the night away. Unfortunately her step mother and awful step sisters conspire against Cinderella and is it up to her Fairy Godmother to get her to the Ball. Will Cinderella get to dance the night away? Will the Price find the foot that fits the glass slipper? Find out in Cinderella!